CLP is a partnership of three of the world’s leading biodiversity conservation organisations. Drawing upon the expertise of conservation professionals from across the globe, we direct project funding and training to early career leaders from developing countries who are tackling priority conservation challenges. For 30 years we have been providing important career stepping stones to over 2,500 individuals who now form an extensive global network of conservation practitioners. The Mohamed bin Zayed Species Conservation Fund is a significant philanthropic endowment established to provide targeted grants to individual species conservation initiatives, recognize leaders in the field of species conservation and elevate the importance of species in the broader conservation debate. To date the fund has awarded over 1200 grants to a diverse range of species across the world. 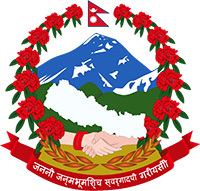 Nepal is a country endowed with natural resources and bio-diversity. To conserve rare and endangered wildlife, including floral and faunal diversity, by maintaining representative ecosystems, a section was introduced on 2029 BS at Department of Forests and converted to Department of National Parks and Wildlife Conservation on 2037 BS. Till date there are a total of 20 Protected Areas including 10 National Parks, 3 Wildlife Reserves, 6 Conservation Area and 1 Hunting Reserve. To promote integrated and long term conservation management by improving co-operation among Protected Areas and Buffer Zone communities, on 2052 BS Bufferzone Management Regulations was introduced and as its implementation 12 Buffer zones are declared till now including 9 National Parks Bufferzone and 3 Wildlife Reserve Bufferzone. Various Bio-diversity Conservation and Development Programmes are being conduted now at Bufferzone areas with the participation of local consumers. In 2002 the Department of Forests (DoF) celebrated its 50th anniversary. It is one of the five departments under the Ministry of Forests and Soil Conservation. The forest administration in Nepal has evolved through a series of fundamental changes in the last fifty years. The changes reflect priorities of the Government’s programs giving more emphasis on people’s need and environmental considerations. In earlier days forestry in Nepal did not have much development functions. The first official forest administration began with the establishment of Ban Janch Adda (BJA) in 1934, which was mandated to protect and use forest in Terai. This office functioned until 1956 when the office of Chief Conservator of the forests was established. This office supervised three circles: east, west and central and thirteen forest divisions. In 1976, the office of the Chief Conservator became the Department of Forests and the number of circles increased to nine covering the whole country. The number of forest divisions was increased to forty.